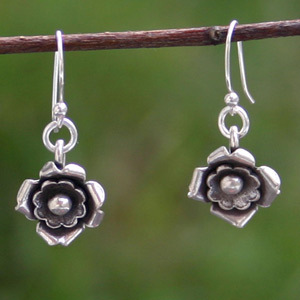 The Karen hill tribe jewelers portray wild roses in this beautiful sterling silver design. 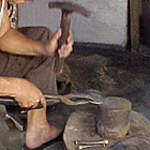 Crafted by hand, the earrings hang from flexible hooks. 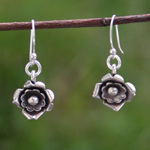 Charming accessories that can be worn with everything.